There’s no getting around the fact that British blues legend John Mayall is a vintage performer having founded his first band in 1956. 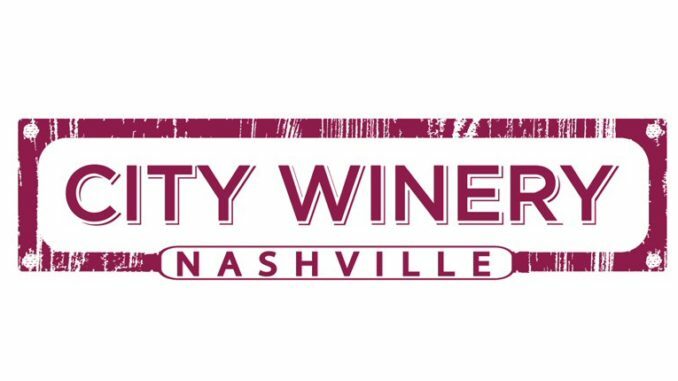 On Tuesday, March 9, 2016 fans had the opportunity to purchase a custom label bottle of wine with his image on it when he and his terrifically talented four-piece began their month-long trek through the States at the City Winery in Nashville, Tennessee. 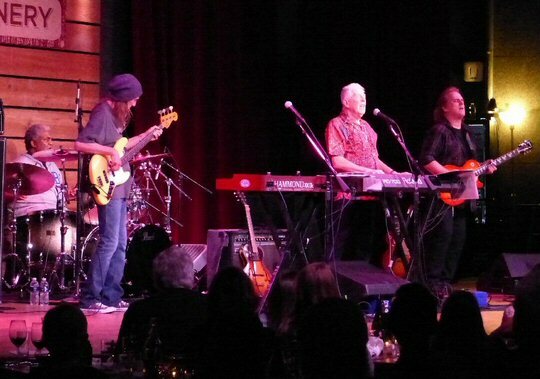 John Mayall and his blues band at the City Winery in Nashville. 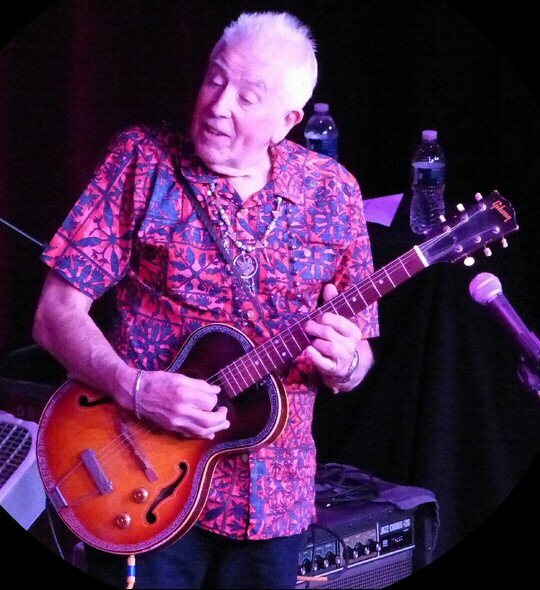 Just as collecting wine is a respected hobby the world over John Mayall has been a connoisseur of fine guitarists and musicians throughout his career. His various bands, most notably the Bluesbreakers, have been a virtual boot camp for stellar musicianship with none other than Eric Clapton, Peter Green, Jack Bruce, John McVie, Mick Fleetwood, Mick Taylor, Aynsley Dunbar, Walter Trout, and Coco Montoya among many others passing through his ranks on their way to fame in the industry. John then proceeded to introduce his quartet before a note was played eliciting applause for the Chicago rhythm section of Greg Rzab on bass and Jay Davenport on drums. Mayall’s longtime sideman on guitar is the great Rocky Athas from Austin, Texas who was a childhood friend of the late SRV. “The Bear” was a powerful way to open the show in Music City. This track goes back to 1968’s Blues from Laurel Canyon recording that was the document that immediately followed the breakup of his band the Bluesbreakers. Mayall took control of the reigns behind his twin set-up of a Hammond XK-3 and Roland keyboards while Rocky brought the rockin’ and rollicking blues number home with a solid and satisfying lead. Mayall switched between guitar, keyboard and harp during his 90 minute set. “Alright. Oh yeah, thank you. Off to a good start,” Mayall enthused before leading the band into the shuffly “The Sum of Something” a song he introduced as being by Curtis Salgado – a Portland, Oregon, based blues, R&B, and soul singer-songwriter. “Ooh, he’s picking up a guitar,” Mayall quipped about his switch from keys to six string as he introduced the next number “Dirty Water” which found him trading licks with Athas and his sharp Les Paul Sunburst model. Throughout the evening Mayall continued to serve as a mentor and master. He kindly encouraged his bandmates as they found their groove at this their first show together in three months. He reminded those in attendance of the multiple skills in his toolkit as guitarist, keyboardist, harp player and frontman – all with a vigor and vitality that belied his octogenarian status. 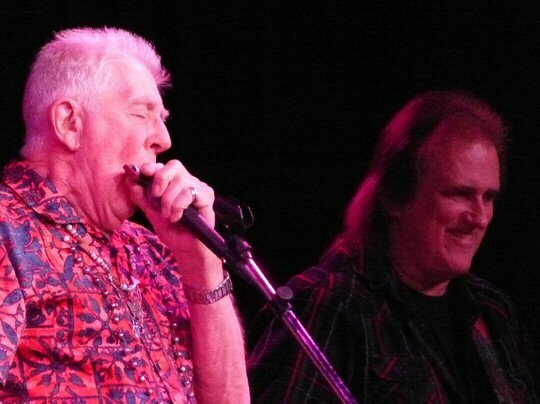 John Mayall is a longtime purveyor of authentic British blues. The band proceeded to play a rousing version of “Help Me” that helped in achieving quite the roar from the near capacity City Winery crowd when it was complete. The magic continued with the mesmerizing number called “The Voodoo Music”. During the course of the evening John Mayall proved that he’s not just an oldies act and that he still passionately cares about his brand of authentic English Blues. To make that point he played several tracks from his brilliant new studio album titled Find a Way to Care. Mayall is also not afraid to get his hands dirty in the process. On this night he was greeting fans, manning his merch table and seemed to be intimately involved in the minutiae of managing his own rock show in Music City that was the first of an intense run of dates that would find the band gracing stages across the South and Northeast throughout March. John Mayall confirmed his legendary status as he presented a set of vintage classics paired with vital new music at the Nashville City Winery at 609 Lafayette Street. It is an upscale venue that serves fine food, music and wine. It continues to host an eclectic range of artists such as the blues legend, Mayall. Upcoming events include Nick Carter, Marc Cohn, Living Colour and Robby Kreiger. 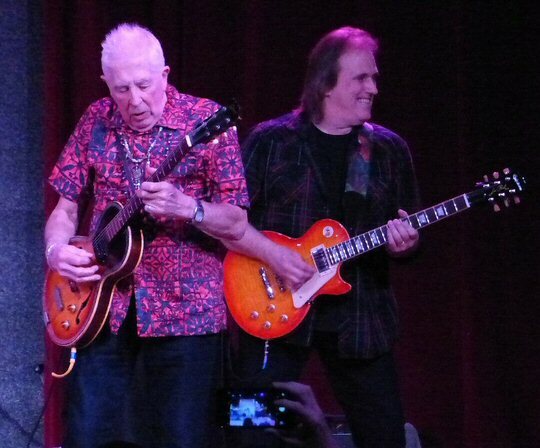 John Mayall and lead guitarist Rocky Athas in Music City.